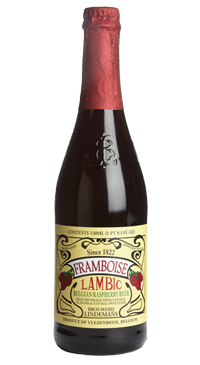 This Lambic has been infused with 30% pure raspberry juice giving it a dark pink colour with a creamy pink foam – it also gives the beer a very big punch of fresh raspberries on both the nose and palate. Although there is some extra complexity under the fruit, it is quite subtle. This beer has a very alive carbonation feel with a refreshing finish and just a touch of sweetness to draw you back for more.